New York-based 3D printing startup Shapeways has announced the addition of Aluminium to its 3D printing materials portfolio. Claimed as the “perfect material for tools, drone parts and gadgets”, the company has introduced aluminium as a pilot material last year and has since worked with community members to perfect it as a building block for many 3D printed objects. According to Shapeways, the 3D printed Aluminium has the highest strength to weight ratio of all its materials. In addition, the company said that this material has high corrosion resistance and thermal conductivity, as well as the ability to support interlocking parts. “As many of you already know, we have offered various metals for years. However, Aluminium is unique because of the way we are able to print it. 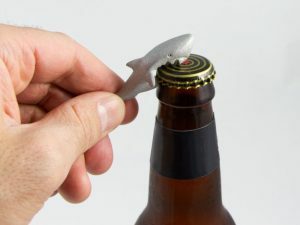 Using a process called selective laser melting (SLM), the material is directly melted and fused from a bed of metallic powder that results in a solid alloy,” Shapeways said in a blog post. The company said that thanks to its high strength and low weight properties, Aluminium is ideal for products that need to stay light but be able to handle a high load, which is why it has a broad range of applications in the aerospace and automotive industries. “Those familiar with building robotics know that weight and weight distribution is extremely important, and Aluminium is a popular metal used to minimise the weight of a frame and platform for various designs,” reads the blog post. 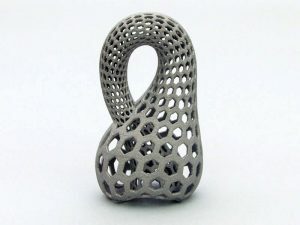 To learn more about how to 3D print objects using Aluminium, visit Shapeways’ Aluminium material page at: http://www.shapeways.com/materials/aluminum?li=nav.